Perfect for serving a Christmas dinner or yummy pudding, this china plate is given a personal and festive twist. Our Chilli and Bubbles character can be seen wrapped up in winter clothing, and your own message is lovingly printed around him. The special recipient will think of you each time this is used, making each meal a reminder of festive cheer. Chilli and Bubbles are here to share festive cheer (and a yummy Christmas pud). 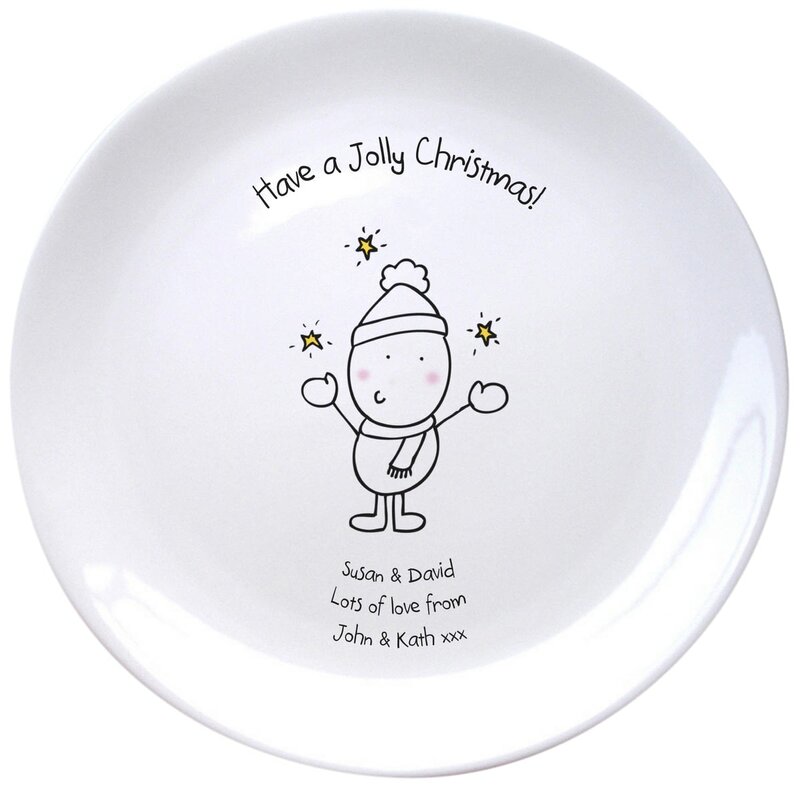 This cute bride and groom plate will be a lasting gift for the happy couple enjoying their first married Christmas.